Foundation for the Philippine Environment - Researches - Indigenous Peoples and Community-Conserved Areas - Where are Indigenous Peoples Distributed in the Philippines? 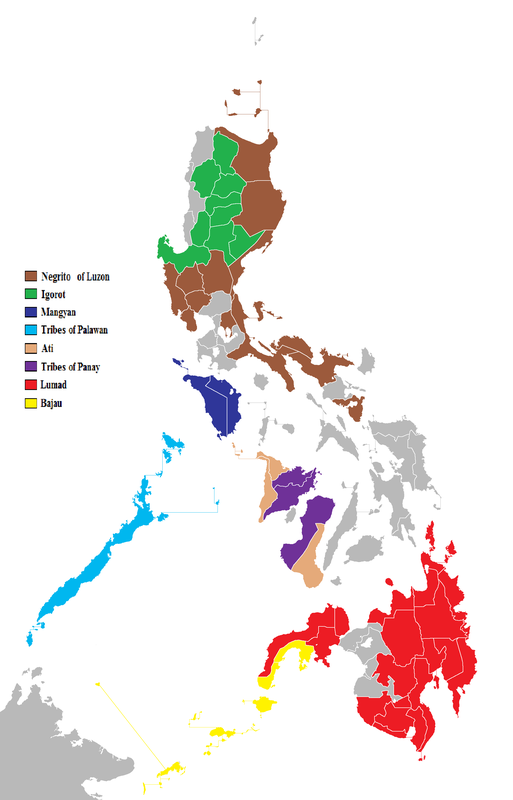 Where are Indigenous Peoples Distributed in the Philippines? Filipinos’ indigenous roots come in a very diverse range. Over a hundred ethnolinguistic groups comprise the ancestry of the Philippines, mirroring to a great extent the precious biological and ecological variety that the country’s 7,000-strong islands boast. Filipinos’ indigenous roots come in a very diverse range. Over a hundred ethnolinguistic groups comprise the ancestry of the Philippines, mirroring to a great extent the precious biological and ecological variety that the country’s 7,000-strong islands boast. Also like the diverse flora and fauna of the archipelago, indigenous peoples and cultural communities make their home in different ecological territories, from the coasts to the highlands. IP groups in the Philippines may be classified under eight major groupings that are further subdivided into more than 100 ethno-linguistic groups spread out across over 60 of the country’s provinces. The map below is a simple illustration of the territorial distribution of the major ethnographic classifications of Philippine IPs. The largest current populations belong to the Lumads (all non-Muslim IP groups) of Mindanao, while the Cordillera IP groups (collectively referred to as the Igorots) of the Luzon uplands also account for a significant portion of the indigenous population. 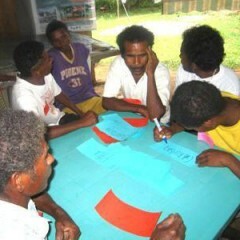 Other distinct indigenous groups in the Philippines are the Caraballo tribes of the eastern central Luzon mountain ranges, the Agta and Aeta/Negrito who are the most widely distributed (Central Luzon), the Mangyan of Mindoro, the Palawan hill tribes, the Visayas IP groups, and the Islamic IP groups of Mindanao. Naturally, within each of these territories lie several ancestral domains which in turn cover key environmental areas that have been traditionally protected and managed by the various IPs and ICCs through their own respective methods. Such diversity in tradition and practice is an integral, but currently oft-overlooked, element in local and national-level policy regarding the conservation of biodiversity in the Philippines. Take a look at the related topics on the sidebar to read more on this subject. Who are the Indigenous Peoples? are those who may have retained some or all of their own social, economic, cultural and political institutions, but who may have been displaced from their traditional domains or who may have resettled outside their ancestral domains. Reference: Indigenous Peoples of the Philippines. Undated. National Commission on Indigenous Peoples. Last accessed on November 5, 2013, http://ncipro67.com.ph/indigenous-peoples-of-the-philippines. Indigenous Peoples of the Philippines. Undated. National Commission on Indigenous Peoples. Last accessed on November 5, 2013, http://ncipro67.com.ph/indigenous-peoples-of-the-philippines.